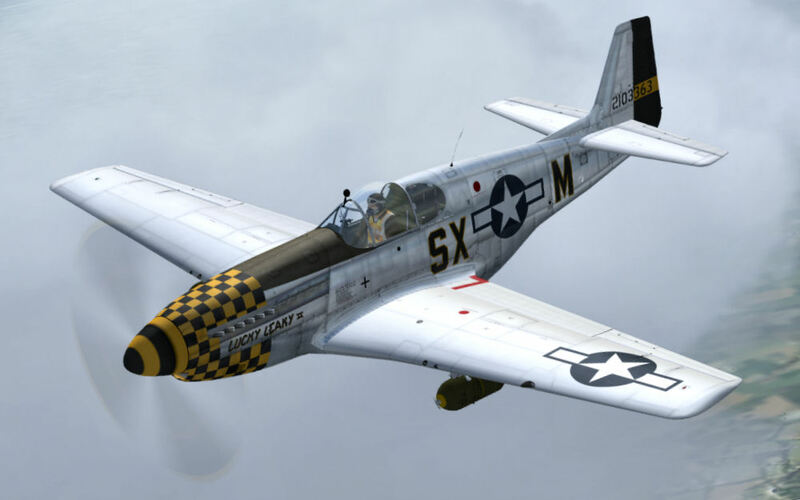 This is a Special Edition Collectors Set that brings together a very comprehensive range of North American P-51 Mustangs in various schemes, colors and configurations the like of which has never before been seen for Flight Simulator FS9. Stunning and amazing color schemes, the unique Merlin warble and all the challenge of flying this rare native breed in all its glory is what will appeal in this special edition! P-51C-10-NT, Princess, 42-103896, of the 530th Fighter Squadron, 311th Fighter Group. Based in China, as it would have been seen in July of 1945. 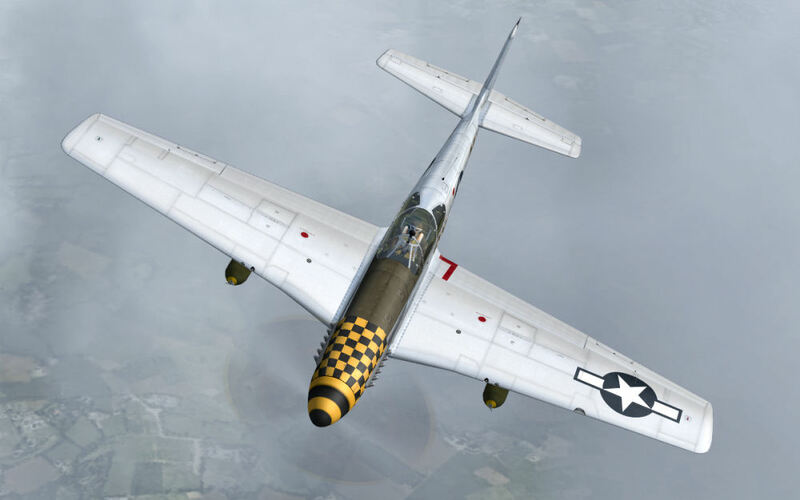 The Malcolm hoods never made their way to the CBI, but by this time period, the aircraft has been retrofitted with the dorsal fin fillet, and like most Mustangs in the CBI, is fitted with a DF Loop antenna. 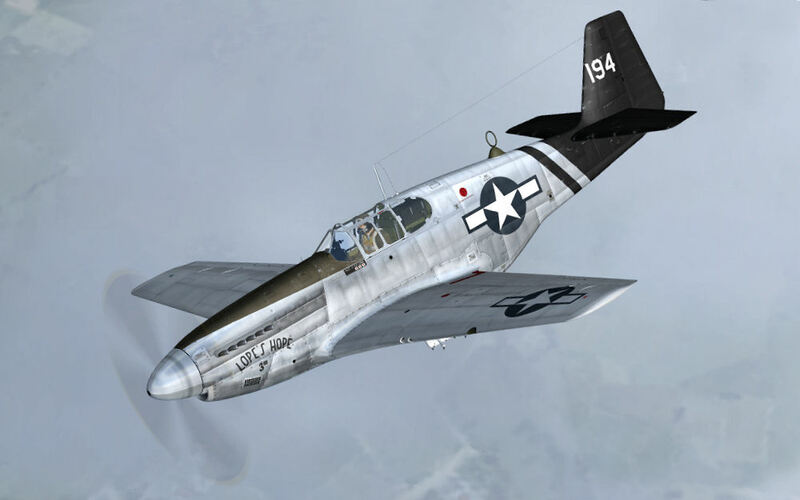 P-51C, Lope's Hope 3rd, of the 75th FS, 23rd FG, based at Chiahkiang, China, flown by Col. Donald Lopez, as it would have been in November of 1944. 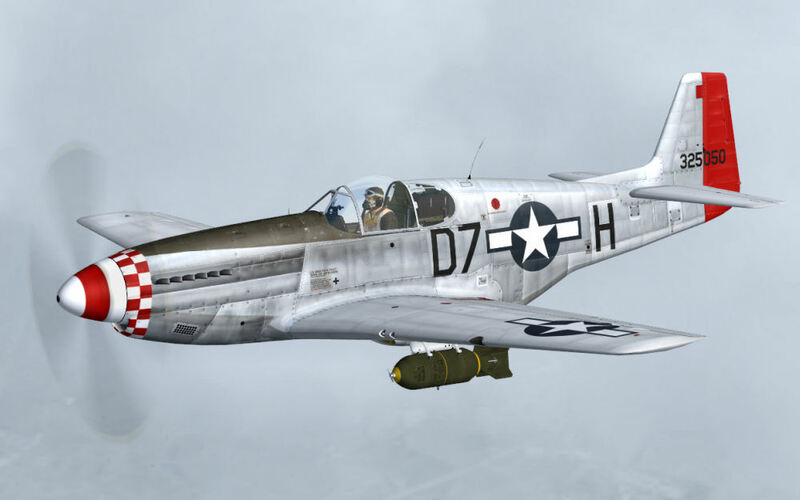 Like a typical CBI-based Mustang, the aircraft is fitted with a DF Loop, but does not feature the dorsal fin fillet. 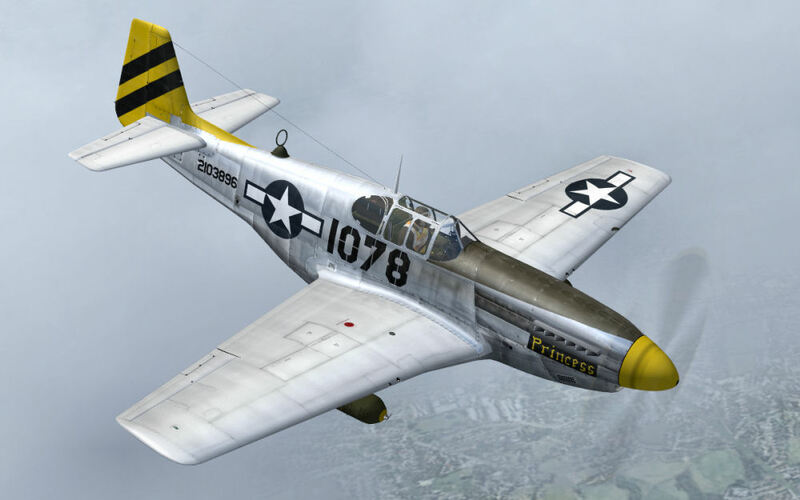 P-51C-10-NT, 43-25050, of the 503 FS, 339th FG, based at Fowlmere, Cambridgeshire, England, flown by Lt. Esteban Terrats, as seen in January of 1945. 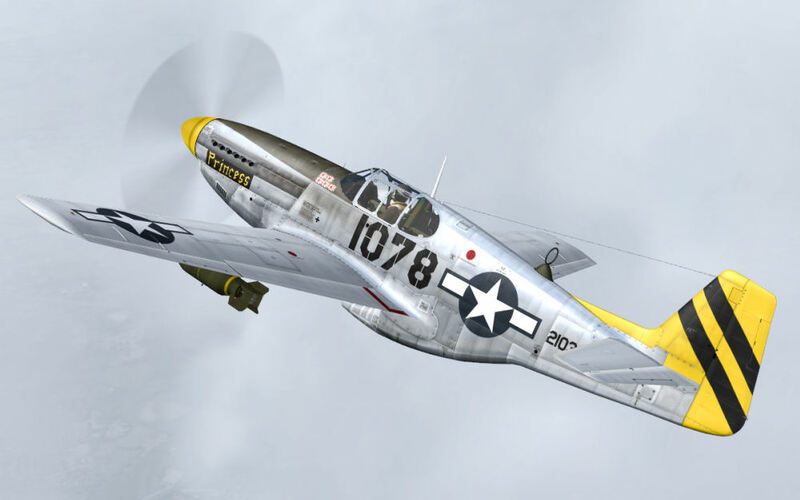 Unfortunately Lt. Terrats was killed in action while flying this a/c, March 2, 1945. 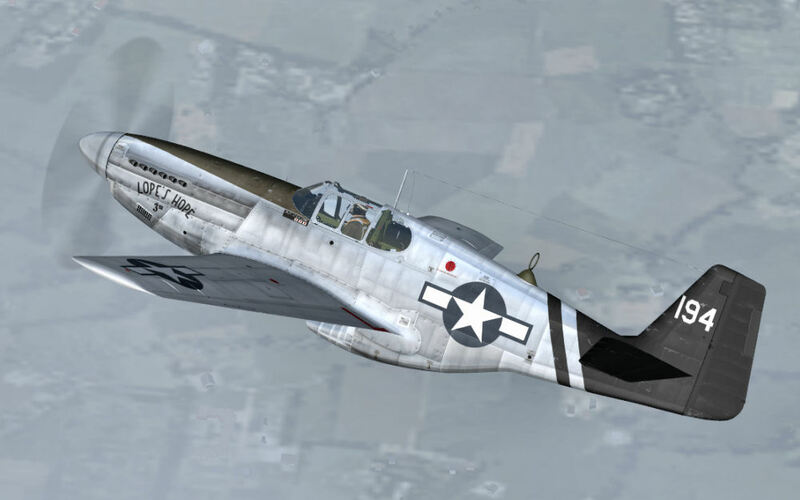 By this time, any existing P-51B/C's in operation within the UK, were most likely fitted with both the Malcolm hood and dorsal fin fillet modifications, just as this airframe is. 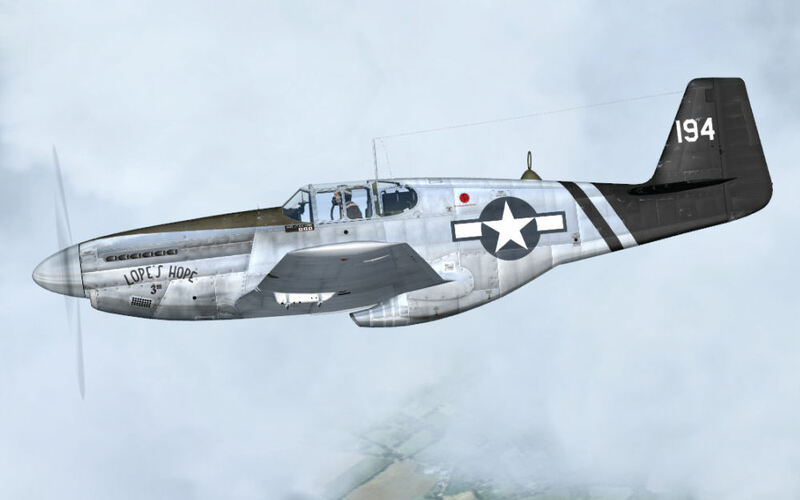 P-51C-5-NT, Lucky Leaky II, 42-103363, of the 352nd FS, 353rd FG, out of Raydon, England, flown by Lt. John Davenport, as seen in 1945. 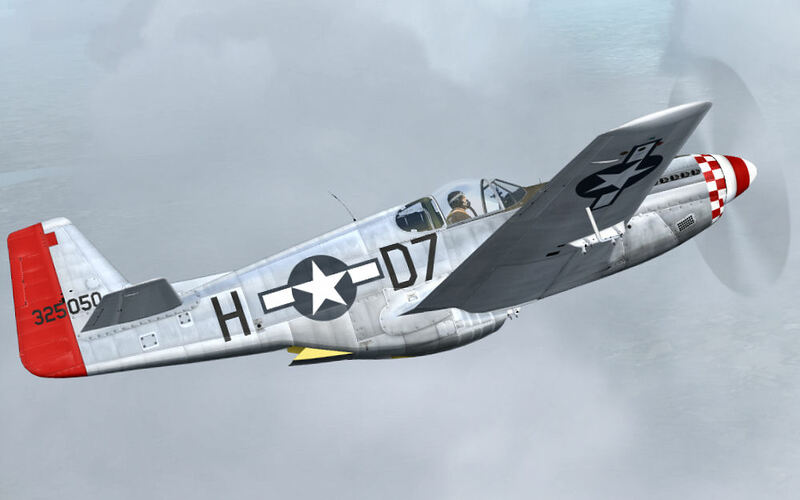 The aircraft is fitted out with the full compliment of Malcolm hood and dorsal fin fillet, as were most B and C model Mustangs, operating out of England, by this time in the war. 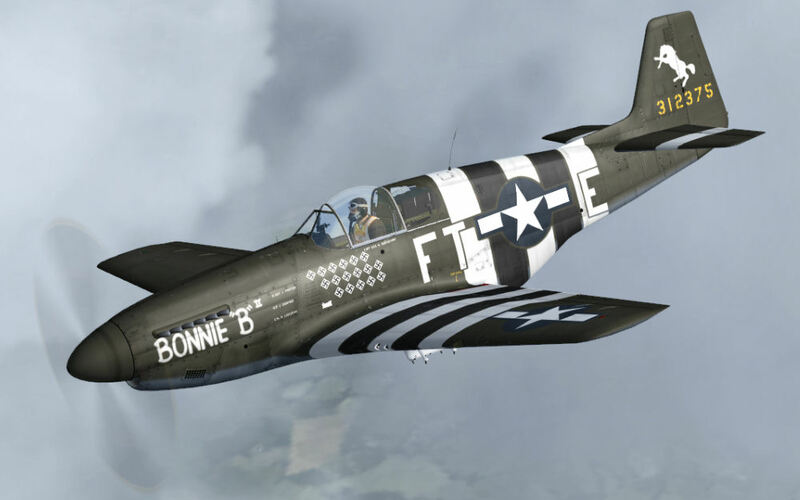 P-51B-1-NA, Bonnie B II, 43-12375, of the 353rd FS, 354th FG, out of Criqueville, France, flown by Capt. Donald "Buzz" Beerbower, as seen in late June, 1944. This aircraft is one of the earliest to have sported the Malcolm hood and dorsal fin fillet modifications. 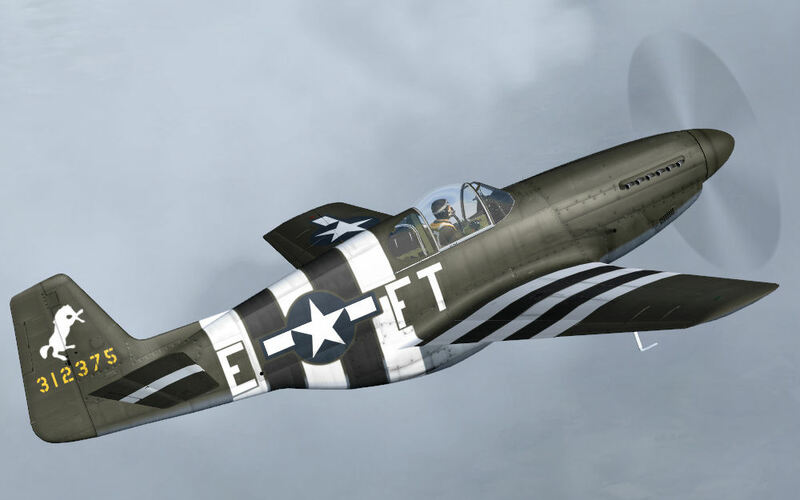 P-51B-15-NA, 42-106750, of the 5th FS, 52nd FG, out of Italy, as seen in the summer of 1944. While not modified with the addition of a Malcolm hood, the aircraft has been retrofitted with the addition of the dorsal fin fillet. The use of the Malcolm hood was primarily limited to the UK only. Mustang Mk.III, KH616, of Royal Australian Air Force 3 Squadron, out of Aviano, Italy. 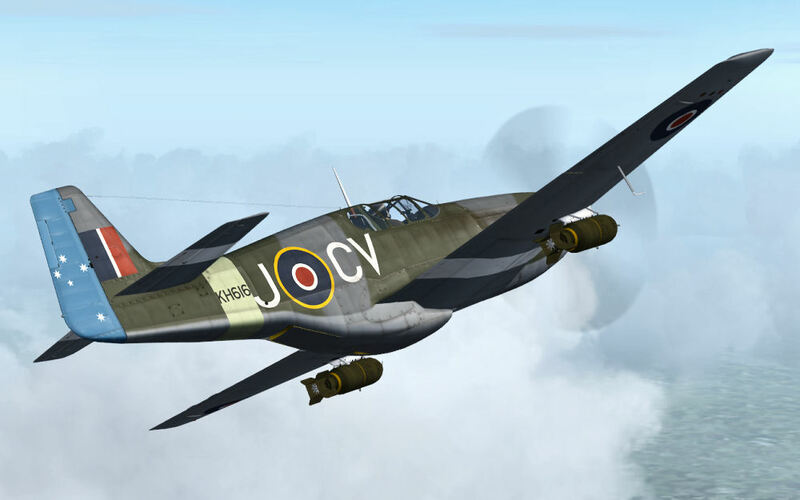 While being flown by Warrant Officer J. Quinn, the aircraft was shot down on Boxing Day, 1944, 3 Squadron's last casualty of the war. Quinn spent the rest of the war as a POW. 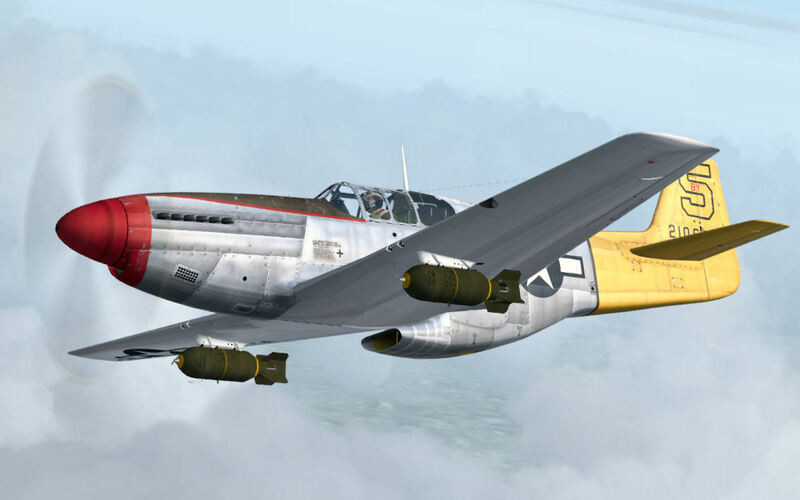 Based in Italy, the aircraft did not feature the addition of the Malcolm hood, but was modified with the addition of the dorsal fin fillet. Mustang Mk.III, HB876, of Royal Canadian Air Force 441 "Silver Fox" Squadron, out of England, as seen upon arrival to the squadron, in June, 1945. 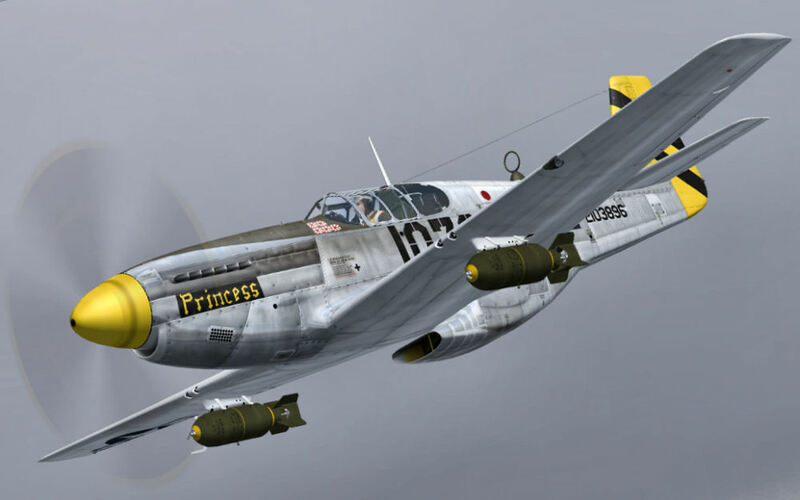 Modified with the addition of a Malcolm hood and dorsal fin fillet, this RCAF Mustang features a unique bare-metal finish, unlike the camo schemes worn by most RCAF Mustangs. F-6C, Miss Revenge, of the 118 Tac Recon Squadron, 23rd FG, out of Luliang, China, flown by Edward McComas, as seen in December of 1944. 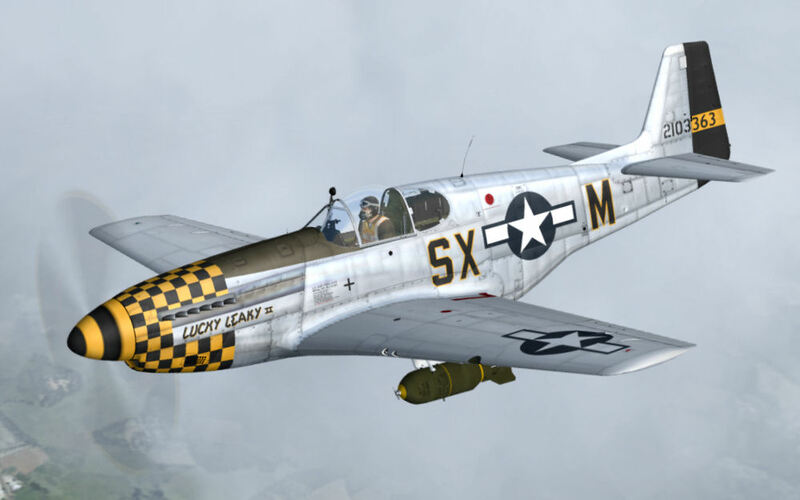 McComas, an ace in a day, scored all 14 of his victories flying the P-51C. 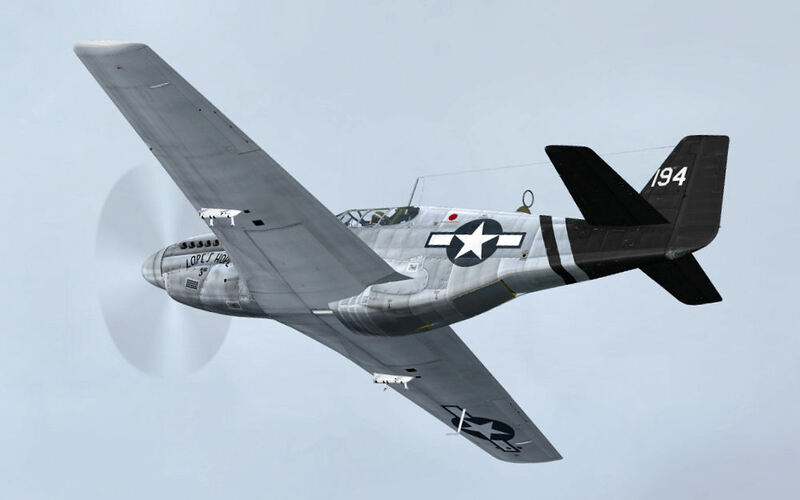 Like most Mustangs in the CBI, Miss Revenge features a DF Loop antenna, as well as a single camera port for recon duties, but did not receive a dorsal fin fillet by this late stage of the war. 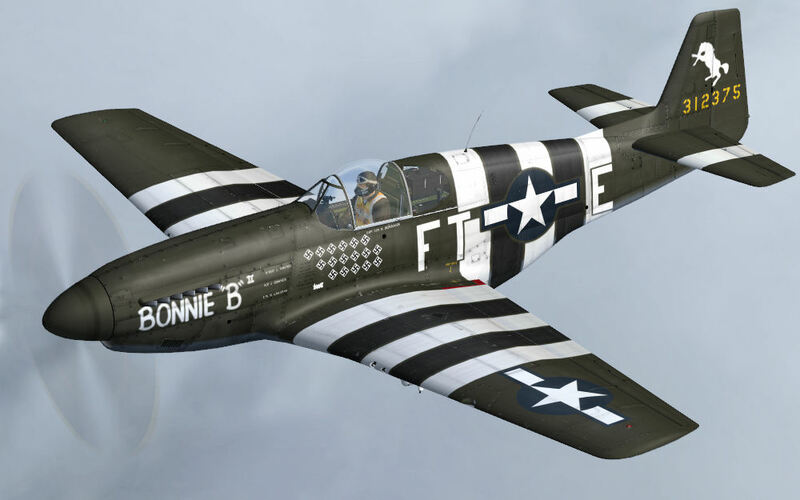 P-51B-10-NA, "Impatient Virgin", 42-106638, of the 376th FS, 361st FG, out of Bottisham, England, flown by pilot's, Lt. Victor Bocquin, Lt. John Bricker, and Flight Officer Wade Ross, during its service time, from May 1944, to June 1945, when it crashed during a low-level training mission. 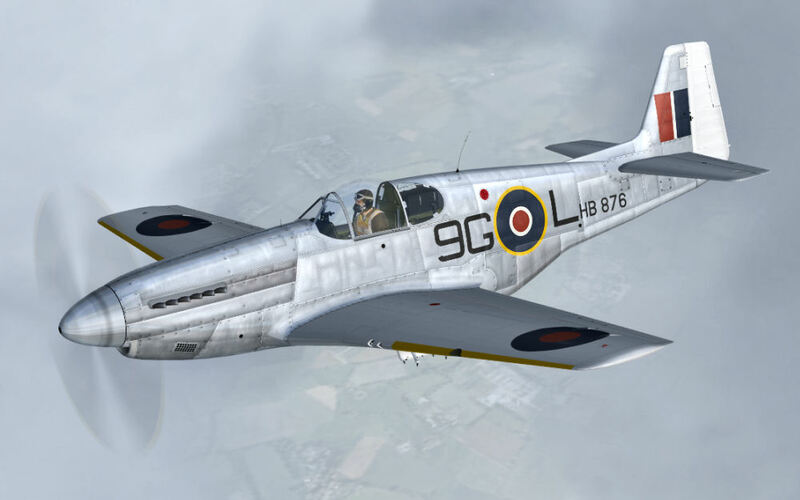 The remnants of the airframe were recovered in 2004, which were incorporated into a newbuild restoration, headed by the company, Pacific Fighters. 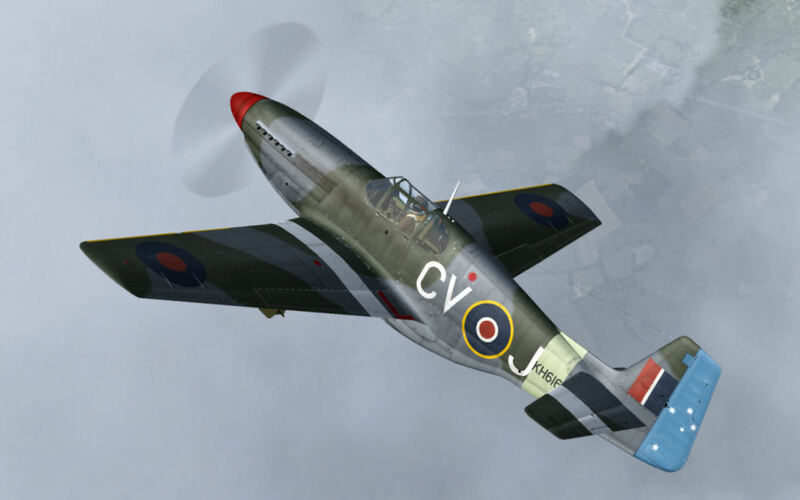 First flying again in 2008, 42-106638 is finished in the various markings the aircraft wore during its service, and is configured as it was when it crashed in 1945, with Malcolm hood and dorsal fin fillet. AIRCRAFT: Release Version 2.0. 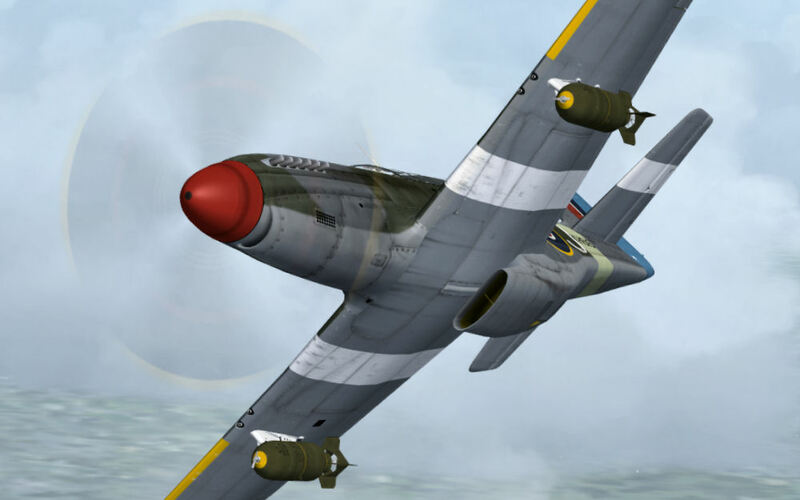 Incredibly detailed and very accurate aircraft model and simulation with many animations & effects. Very fast frame-rate FPS performance. All textures and gauges were created using professional studios and associated apps and there has been a total of eleven months of development on the work. 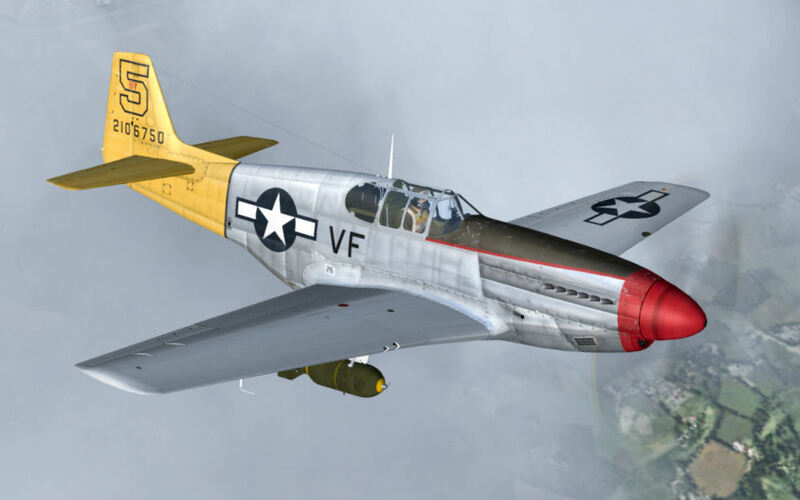 The research alone has utilized well over 500 photographs to model and texture the aircraft to their final different and detailed versions. VIRTUAL COCKPIT: Release Version 2.0. 3d-modeled and highly scale-accurate. With many operational, 3d-modeled systems and layouts to accurate war diagrams and documents (many at the time top-secret but now de-classified). 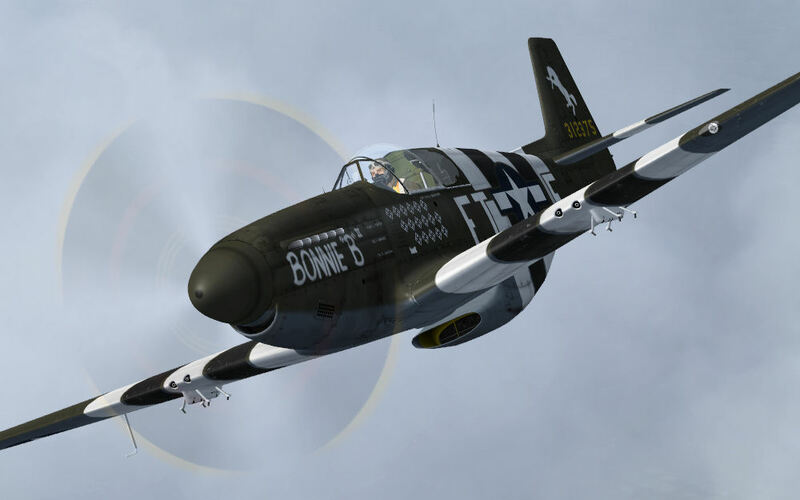 FLIGHT MODEL: Aircraft FD Flight Model Technology developed from approved historical and aircraft manufacturer statistical data. 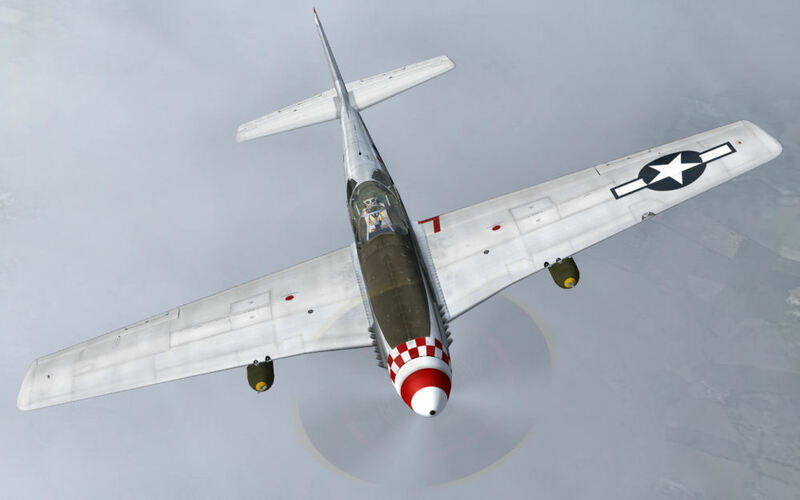 The Mustang features unique flight envelope qualities designed to take advantage of FS9's flight characteristic reporting and also to add some very new and accurate 'real feel' qualities to the unrivaled performance of the P-51. 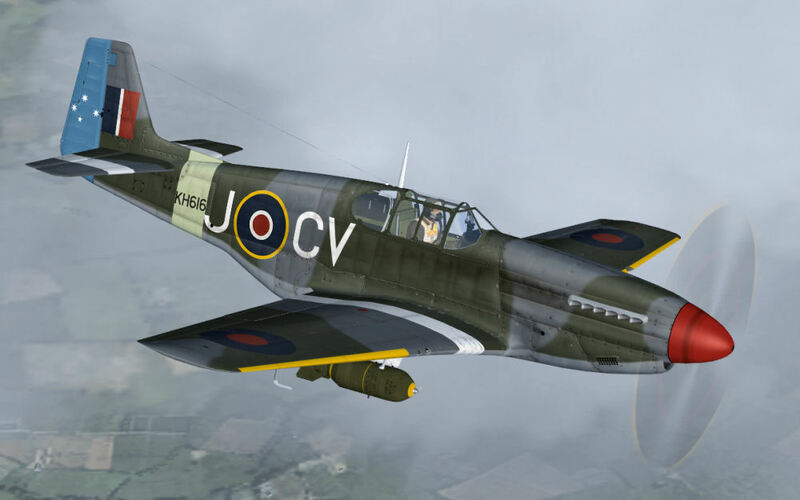 Following consultation with several owners of the sister aircraft (the 'D') this unique set brings to the simulation world a flight dynamic-rich version of earlier models and with pilots who know her, it has been described as 'the sweetest handling' of a known version. SOUND. Recordings (mixed from real sources) taken both on board and outside the Mustang using advanced recording equipment to produce a fanrtastic quality sound set that adds to and enhances this set like no other! MANUALS: [RESTRICTED VERSIONS] ORIGINAL ART VERSION ARMY AIR FORCE P-51 Pilots Operating Instructions with full print-able capability.